Keep your Southeastern pre-event promotions personal when you print Charlotte Invitations and send them out to your guest list in advance for your next event in the City of Churches. 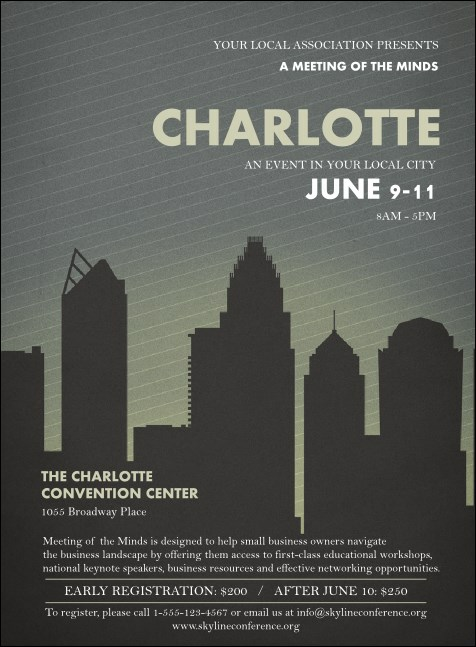 These Invitations feature Charlotte center city’s skyline up against a no-nonsense gray and white background. Find Hornet’s Nest advertising that’s sweet as honey at TicketPrinting.com.